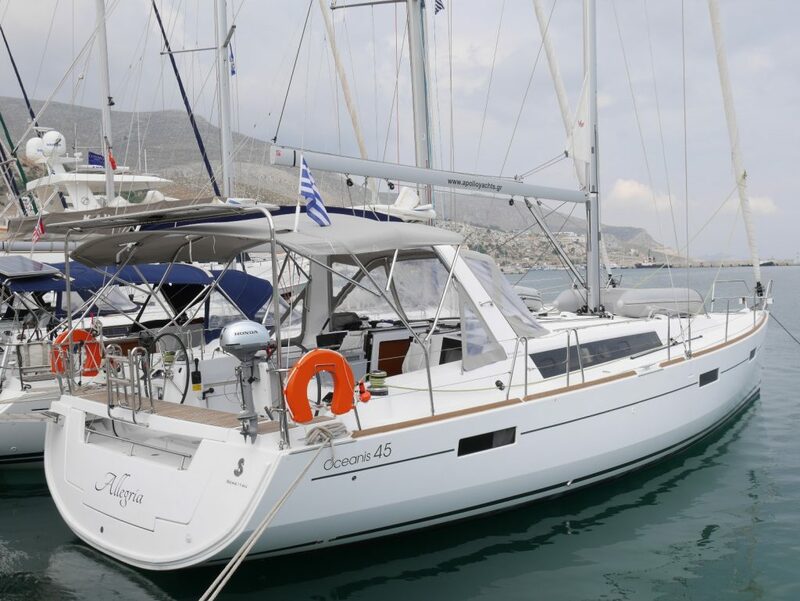 Apollo Yachts is a yacht owner company specialising in quality yacht charters in Greece. 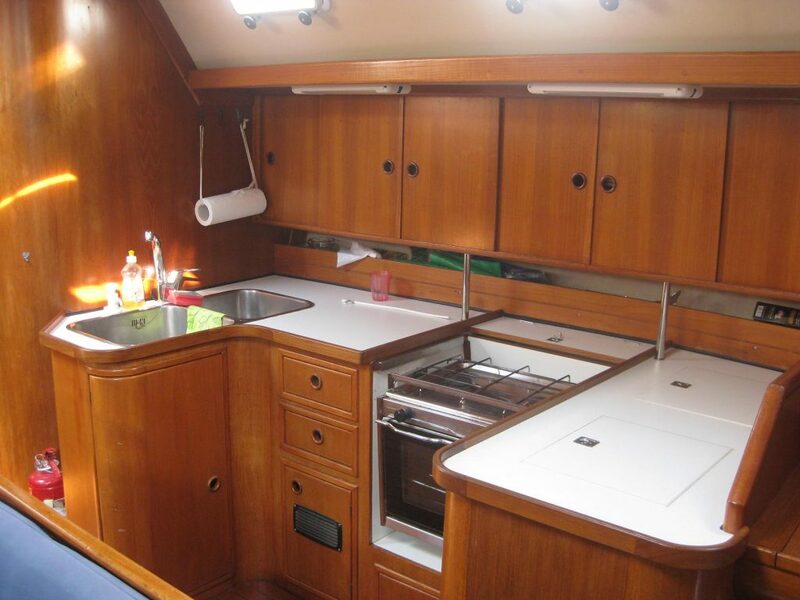 We have been established since 1980, aiming at quality rather than variety of service. 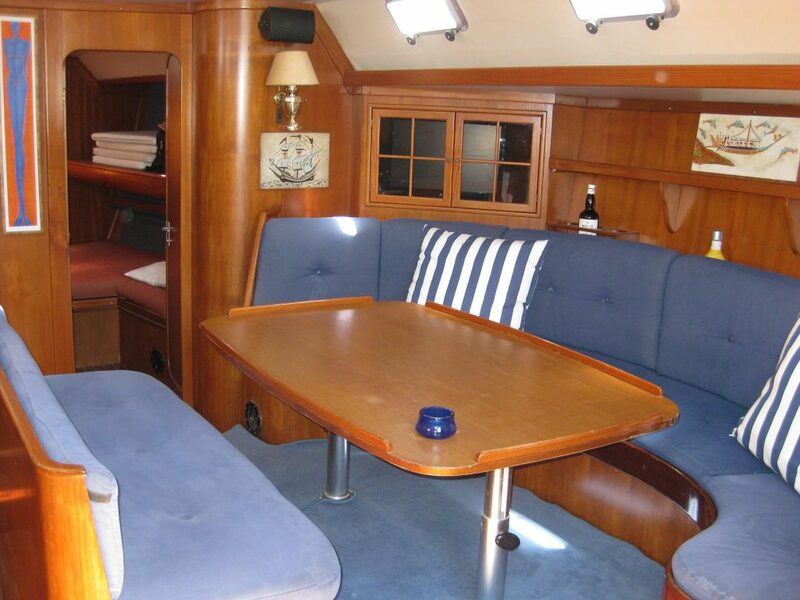 Our policy is to offer first class service throughout our operations and keep prices low. 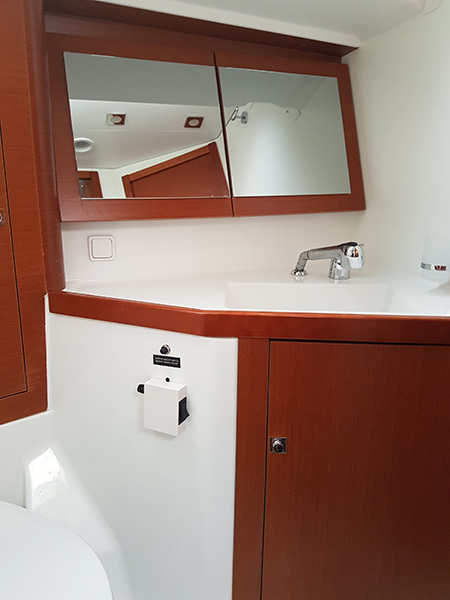 Our attention to detail makes our yachts distinctive and well separated from the rest. 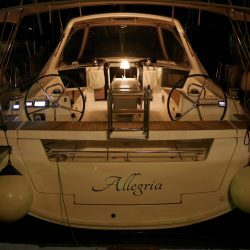 A client will always board an immaculate boat equipped with a most detailed inventory and with every single instrument in working order. 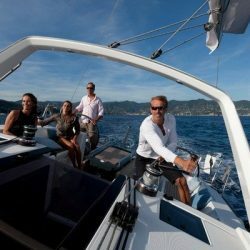 He will naturally come back to us repeatedly because he knows that Apollo Yachts is a unique choice for him. 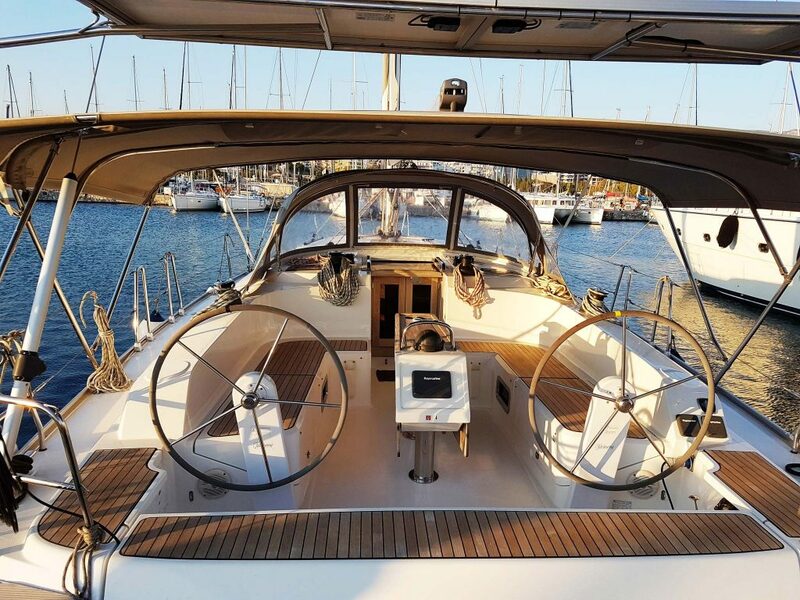 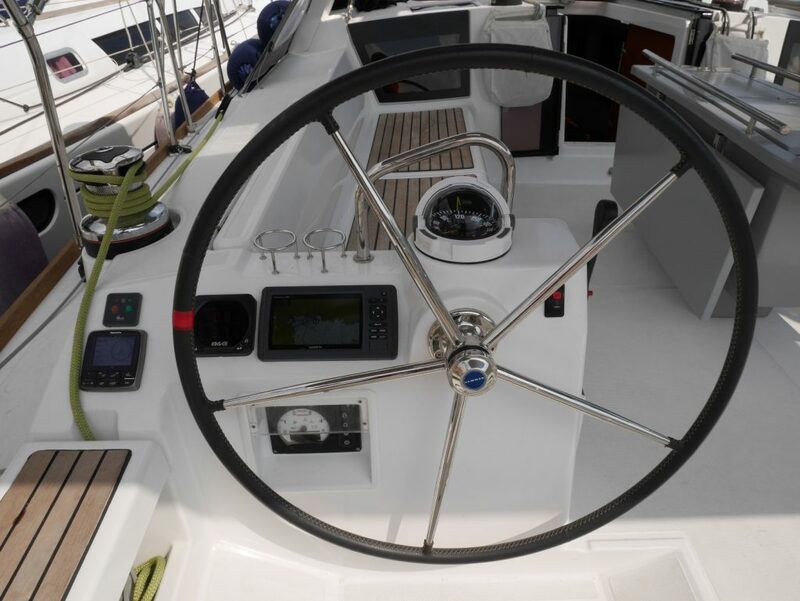 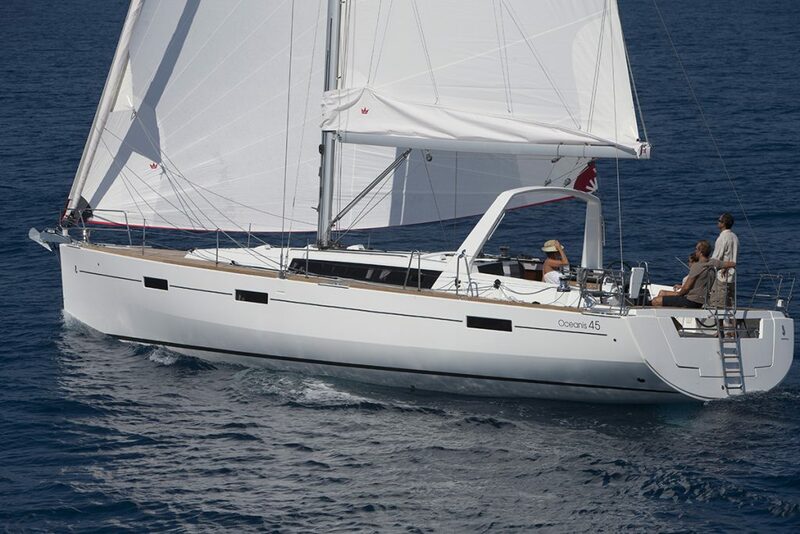 You would be hard pressed to find another sailing yacht in her class that offers more space, more comfort and is as easy to handle as the BAVARIA CRUISER 46. 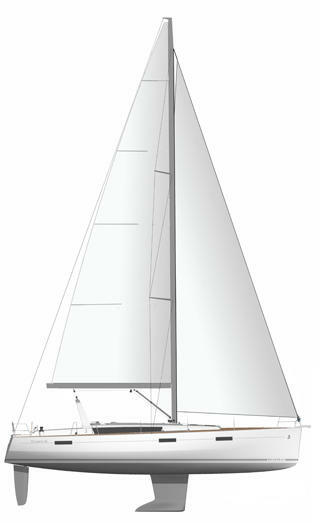 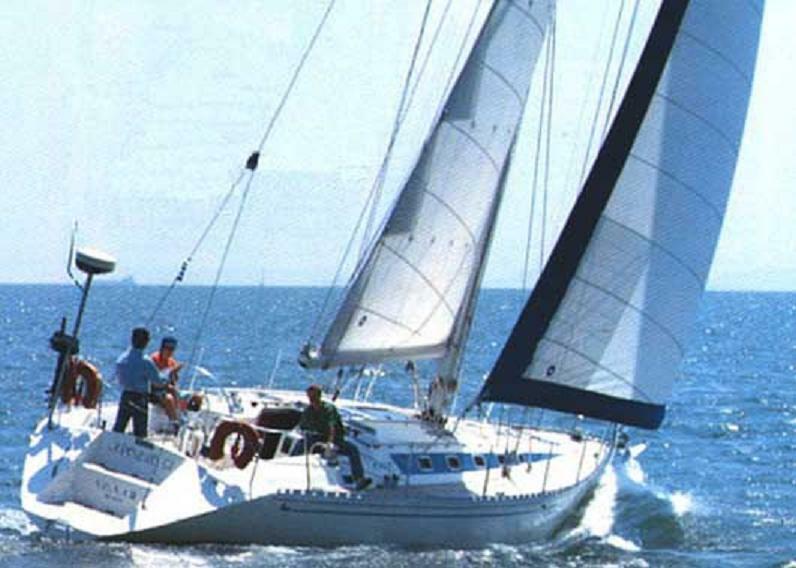 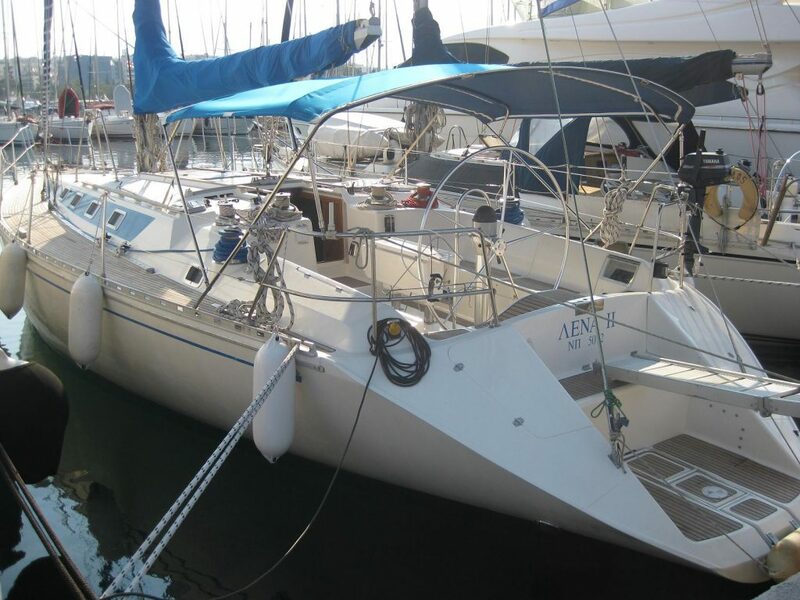 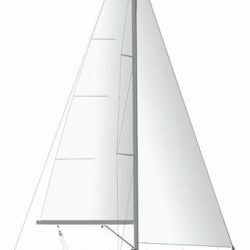 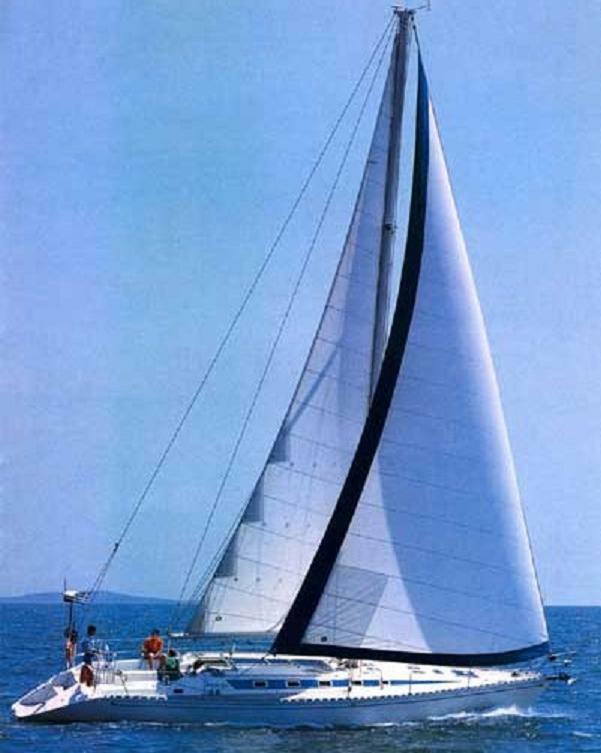 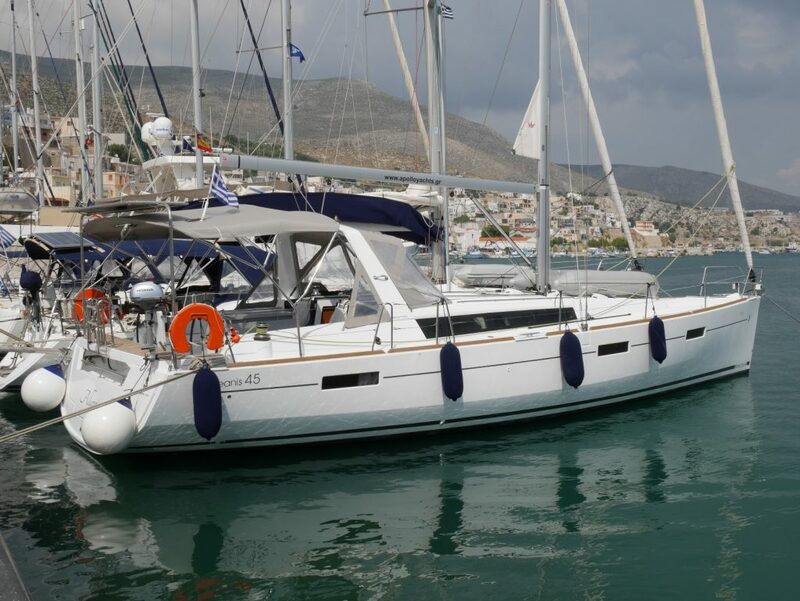 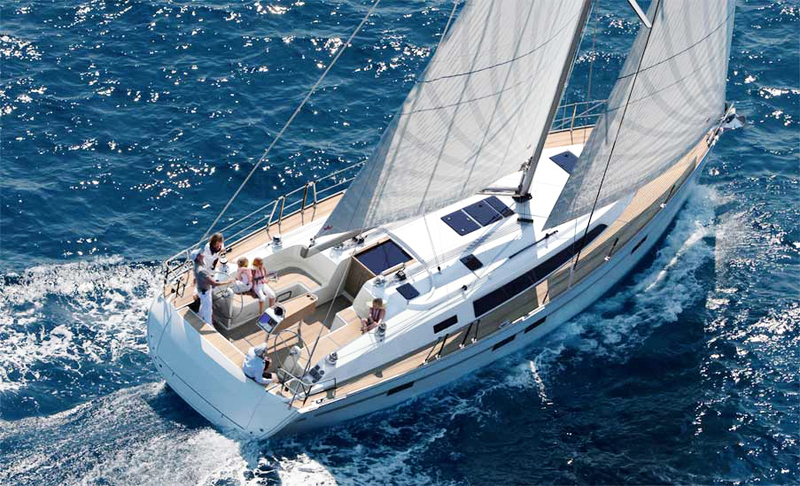 Balanced sailing and manoeuvring properties along with impressive potential speed. 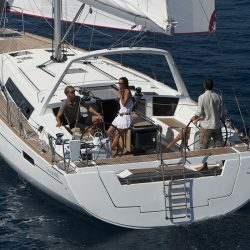 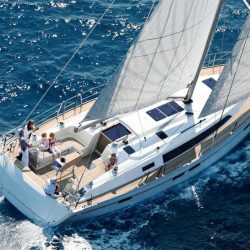 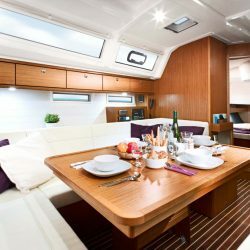 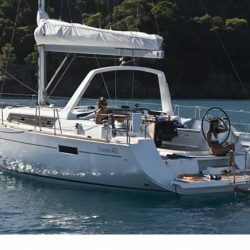 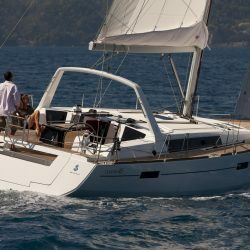 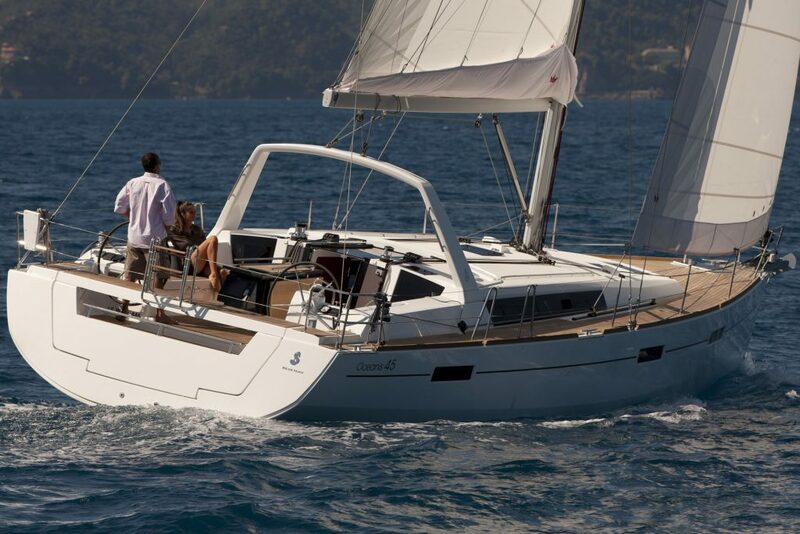 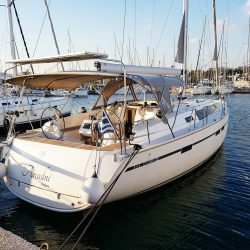 The new Bavaria Cruiser 46 is the likely best value in boating. 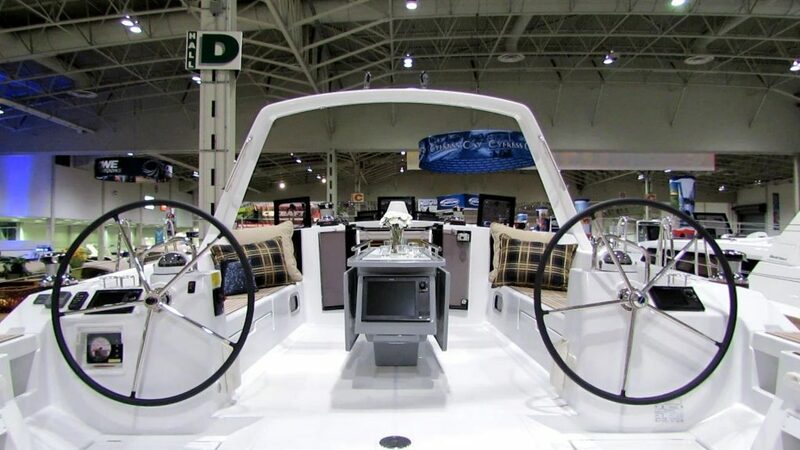 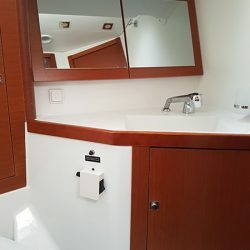 Her design features sleek, modern exteriors with a broad, inviting cockpit and a full-width lowering transom / swim platform. 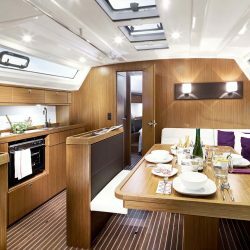 Below, generous port lights and hatches fill the salon with light, complementing the luxurious interior that is customized with our selected choice of woods, flooring and fabrics. 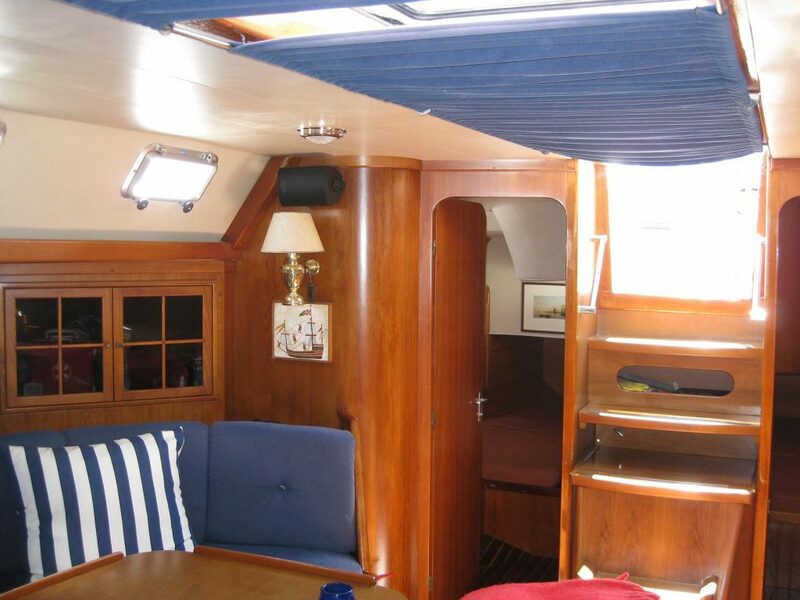 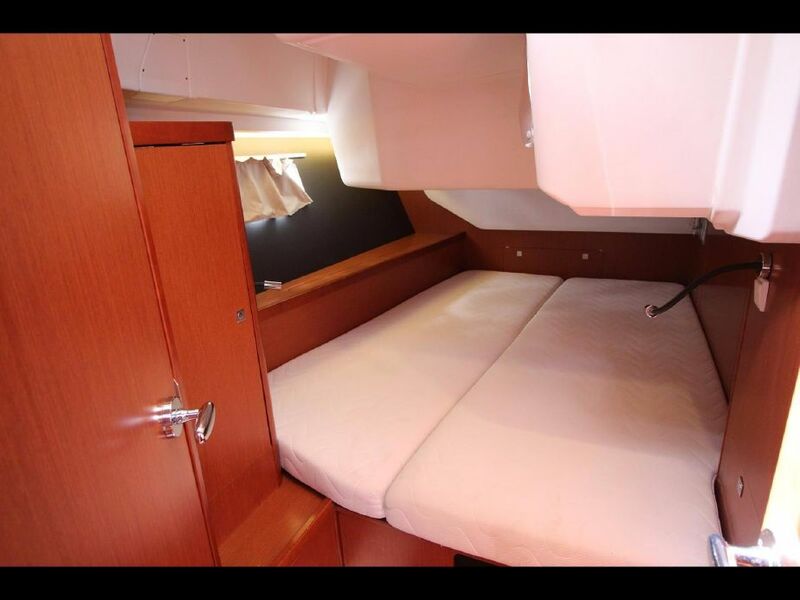 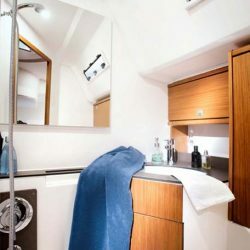 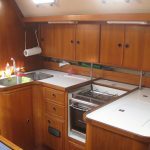 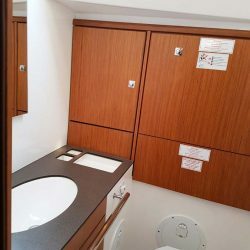 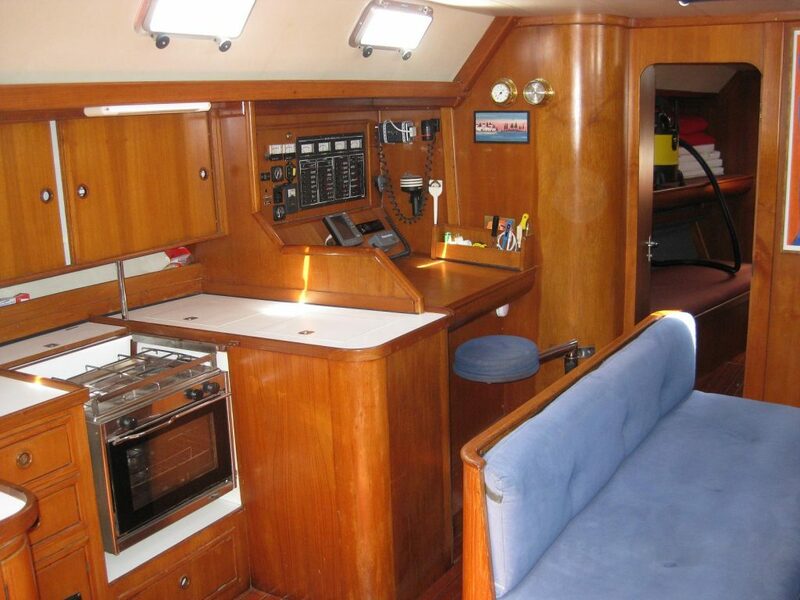 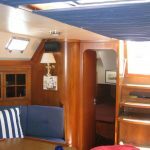 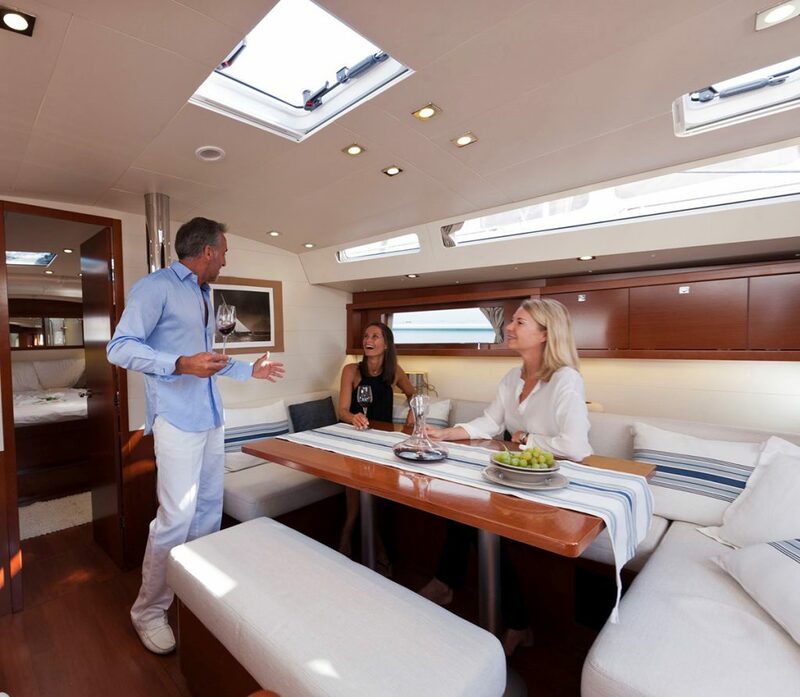 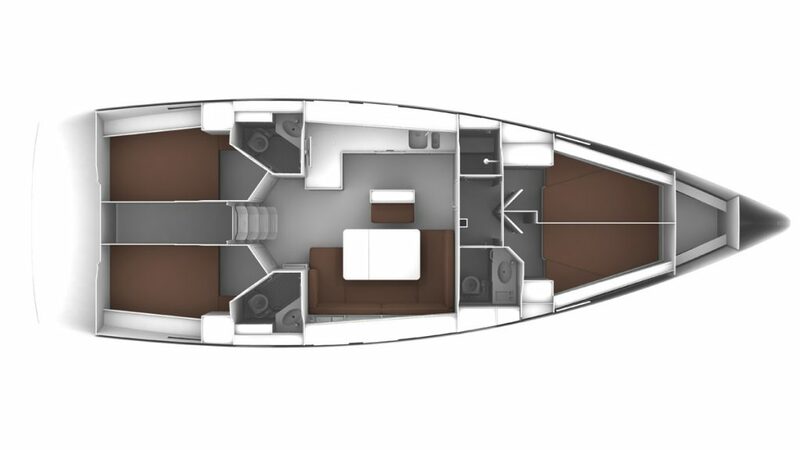 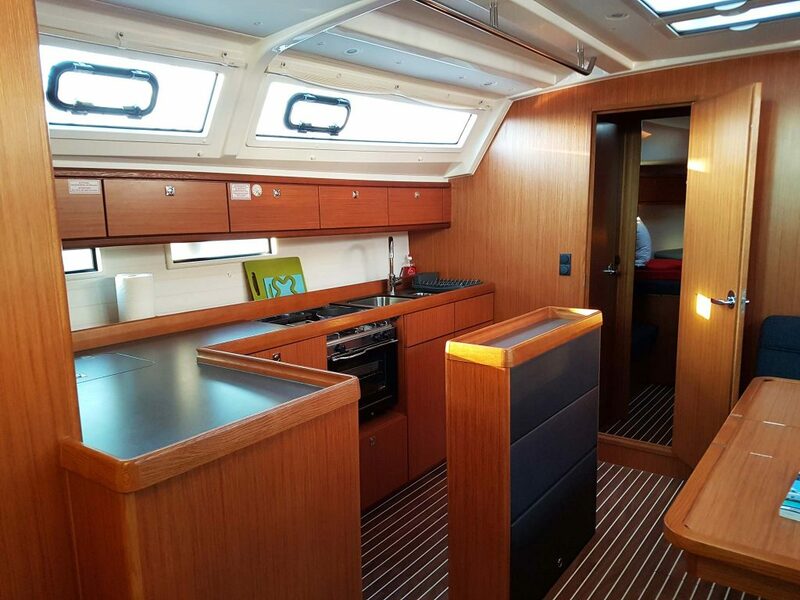 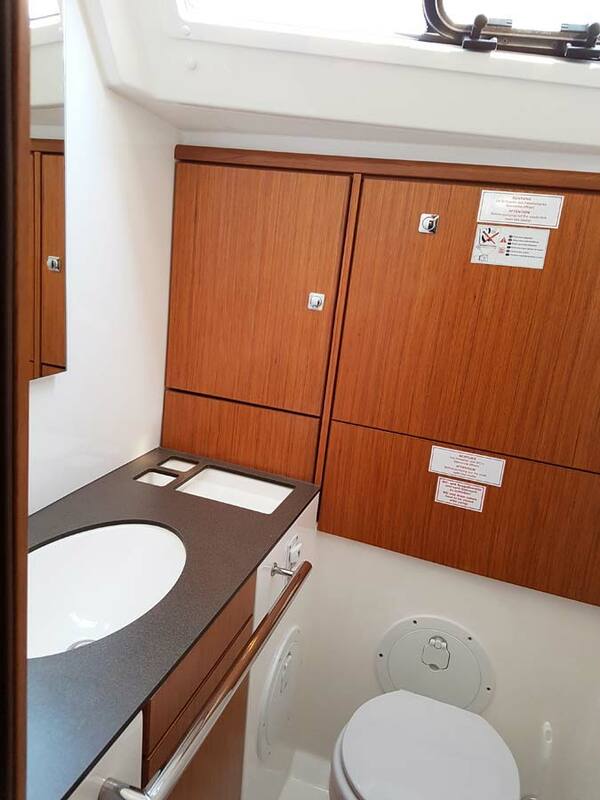 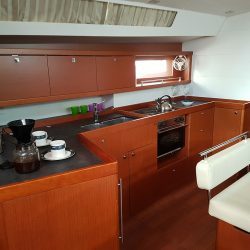 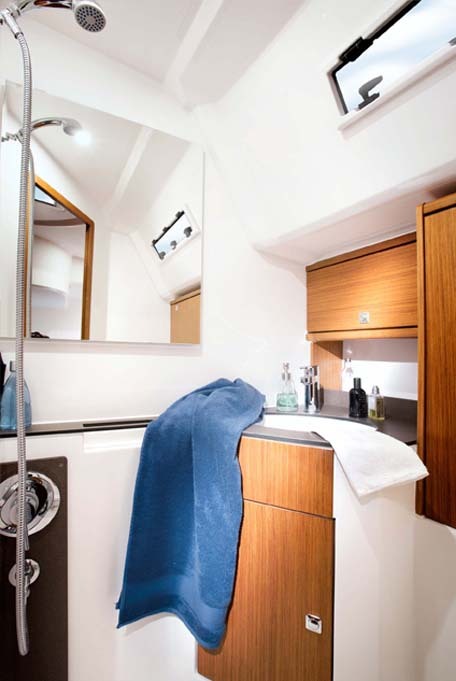 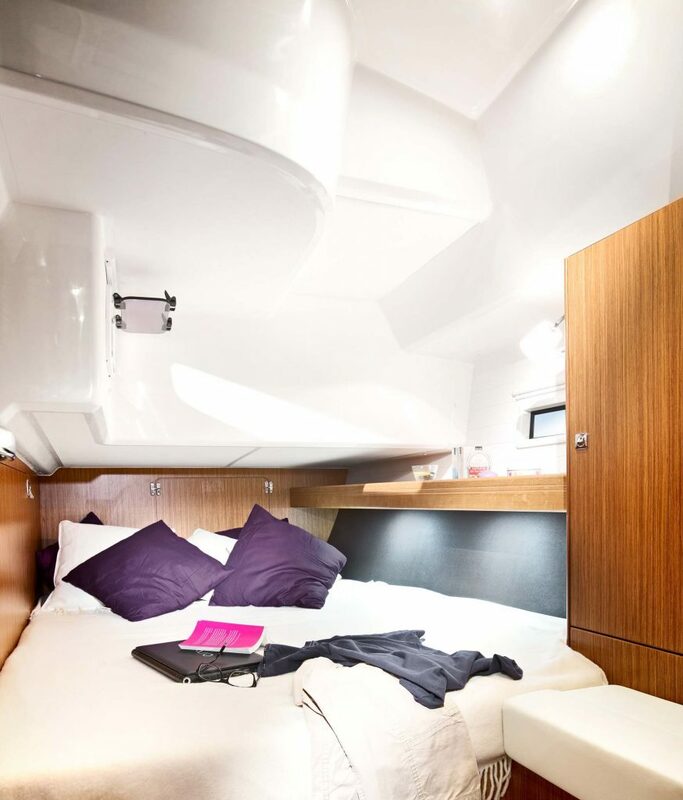 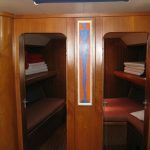 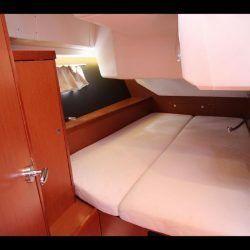 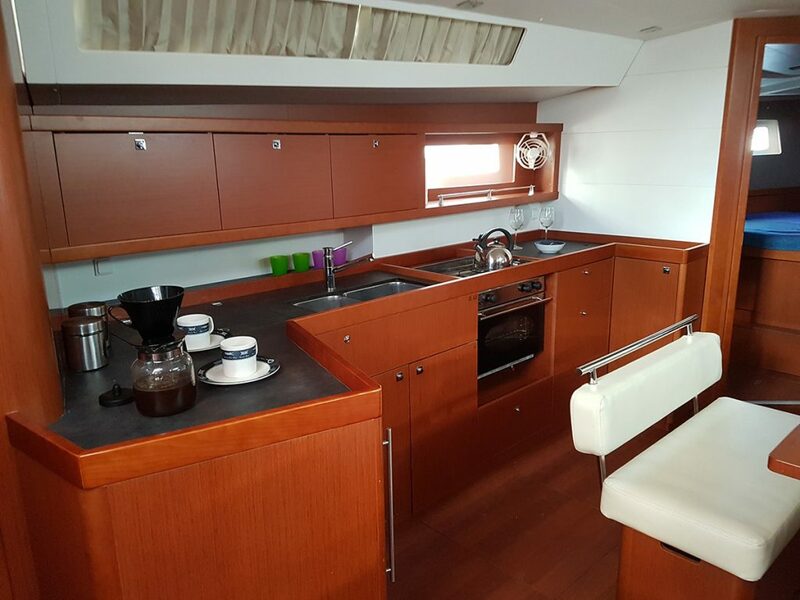 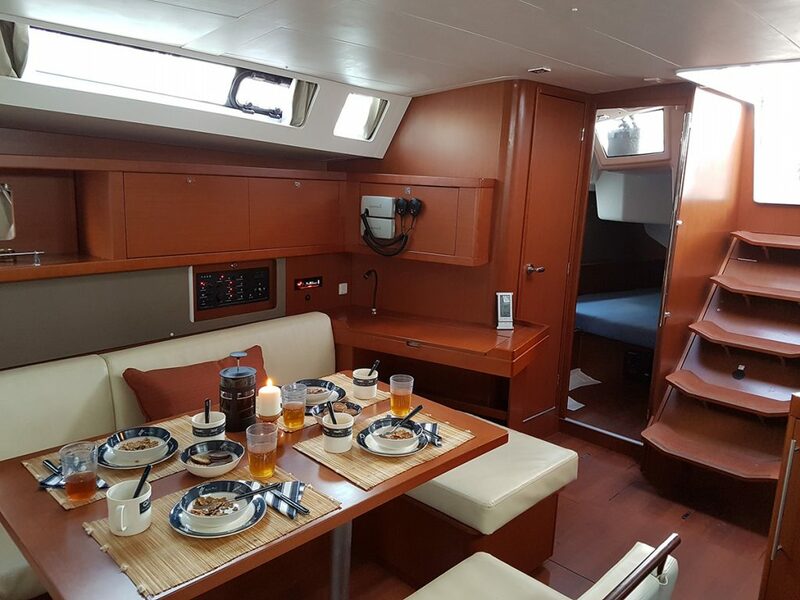 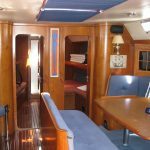 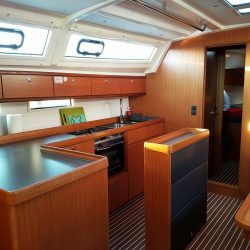 The voluminous layout below decks offers 4 double cabins, 3 heads and 3 showers. 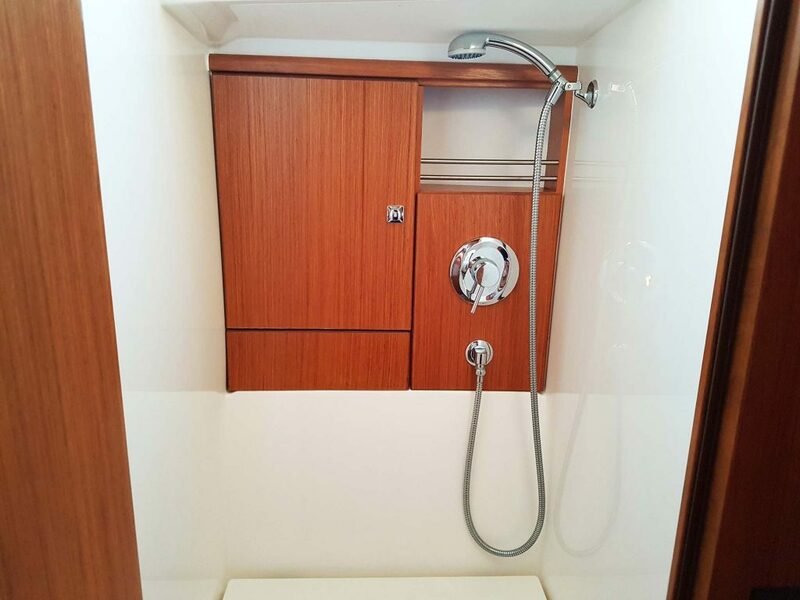 The forward shower room is separately to port, and the head and basin are separately to starboard. 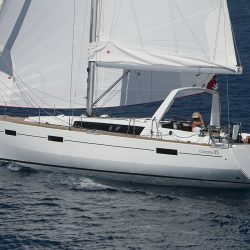 And to top it all off, twin helms and twin rudders add to the incredible performance and handling capabilities you would expect from this Bavaria/Farr design collaboration. 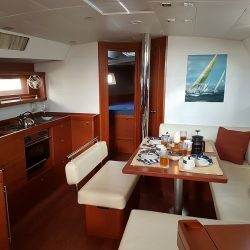 There are few yachts in the world to rival Apollo 57’s credentials in this particular category, for she is an exceptionally successful blend of luxury charter yacht and high performance cruiser/racer. 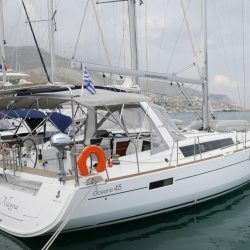 The Apollo 57 is a pedigree sloop designed for optimum versatility and ease of handling, ideal for family voyages or performance sailing. 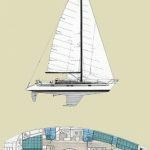 This new breed of sailing yacht will appeal essentially to the charterer who requires luxury amenities and spacious appointments while still experiencing the thrill of fast sailing. 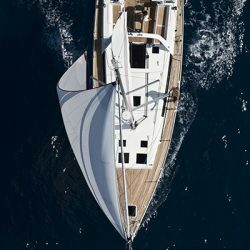 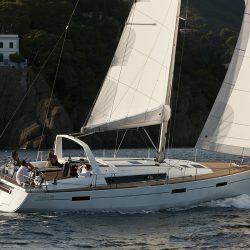 She easily exceeds even the extraordinary high demands for performance and responsiveness placed on this class of yacht. 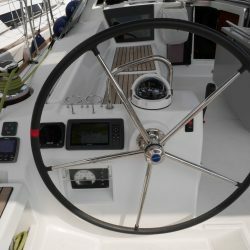 On deck or below the yacht inspires confidence and creates a feeling of security and safety not usually found in this type of yachts. 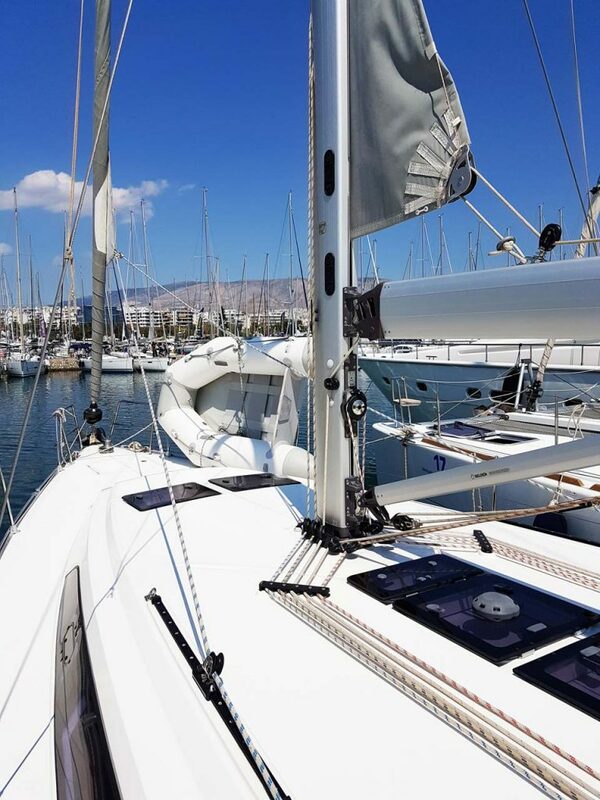 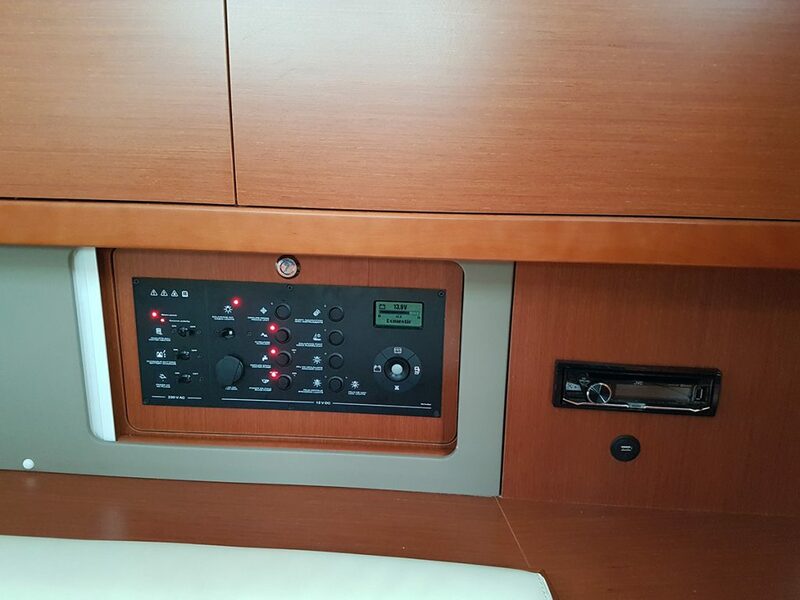 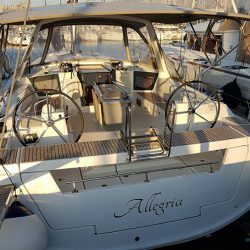 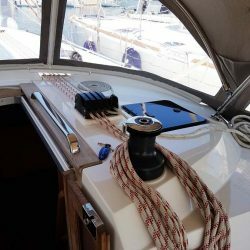 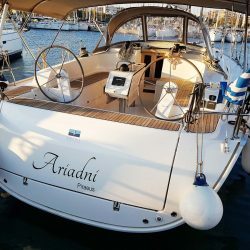 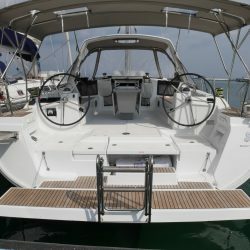 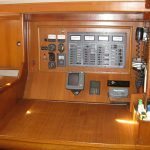 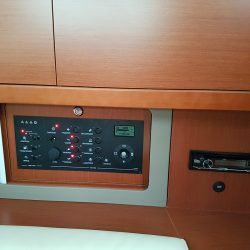 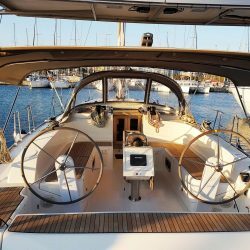 Most systems such as battery, bilge pump, water pump, etc., are covered by fully independent back-ups thus adding up to the already high reliability of the yacht and ensuring carefree vacations. 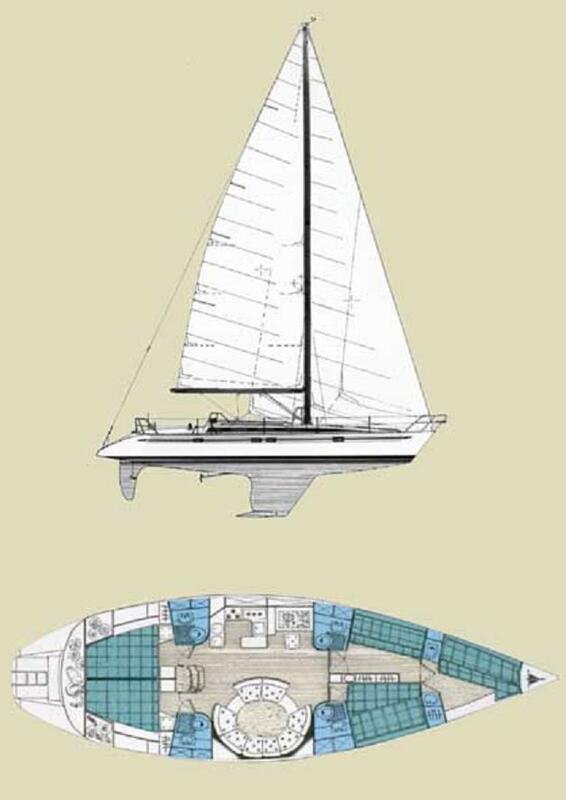 In terms of accommodation the design goal has been the creation of an open uncramped interior with ergonomic arrangements to suit the requirements of high demanding sailing vacationers. 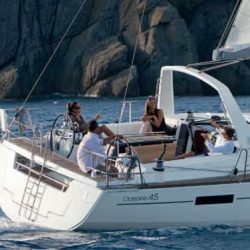 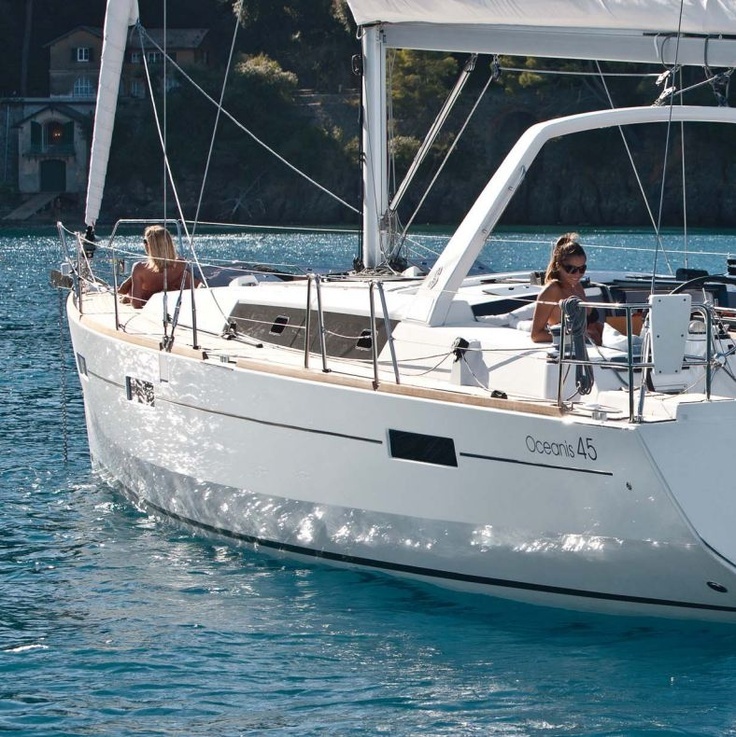 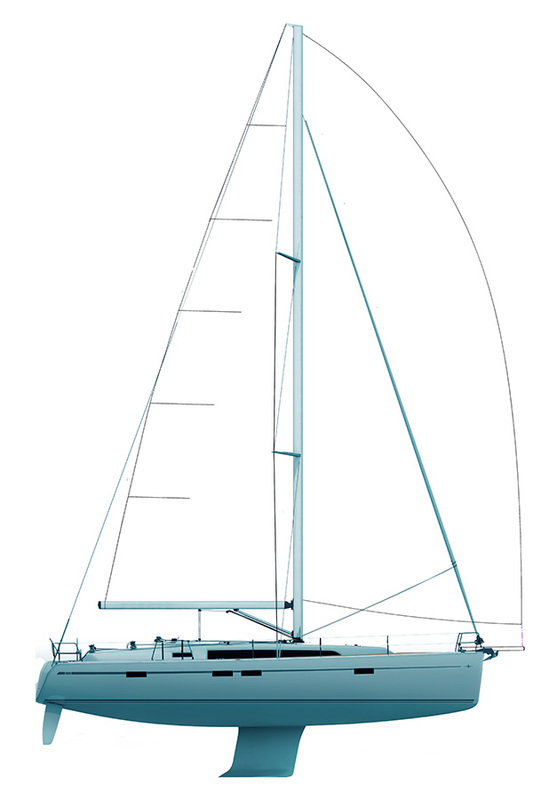 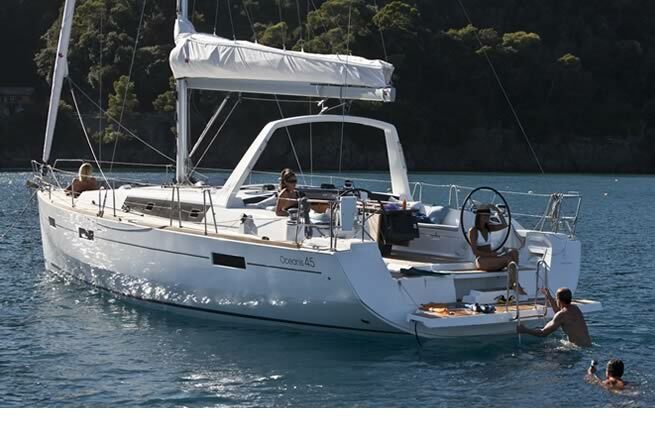 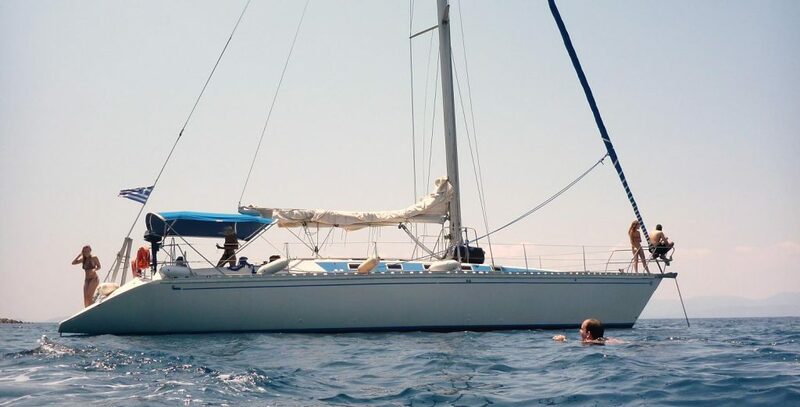 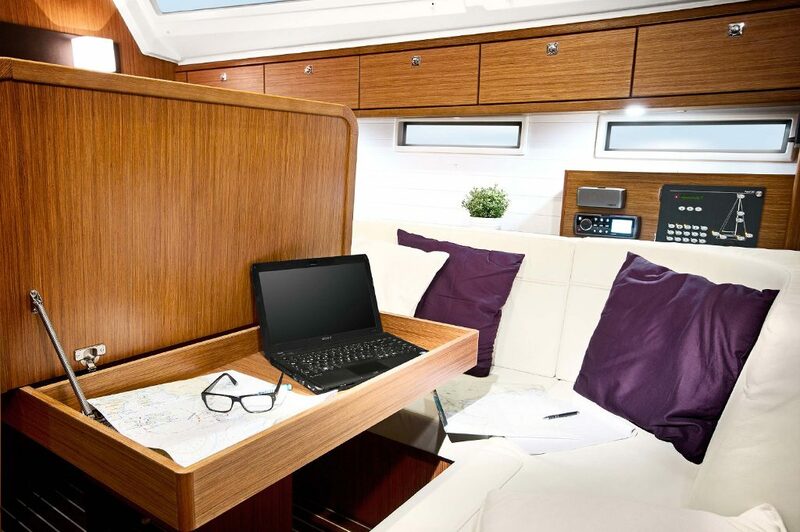 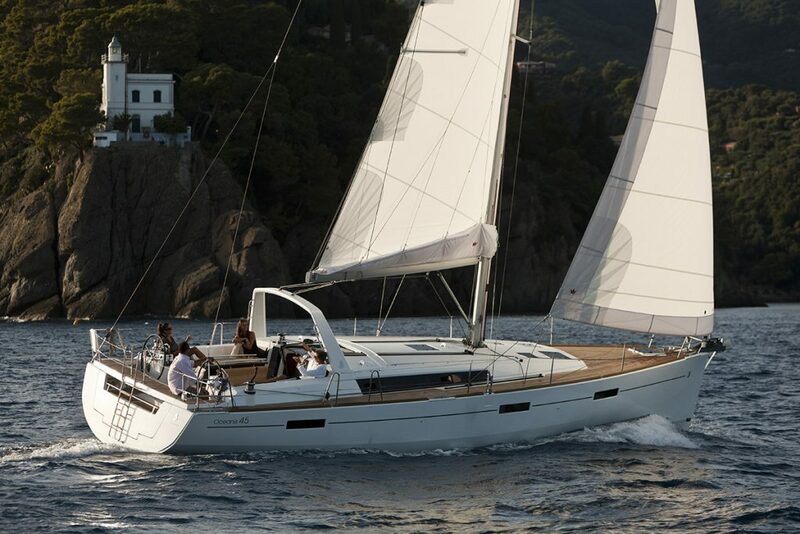 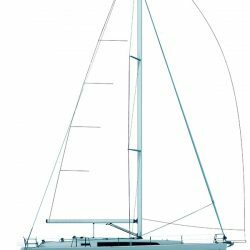 The Oceanis 45 rewrites the Beneteau cruising yacht book. 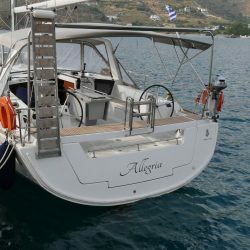 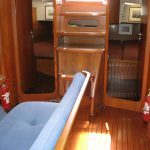 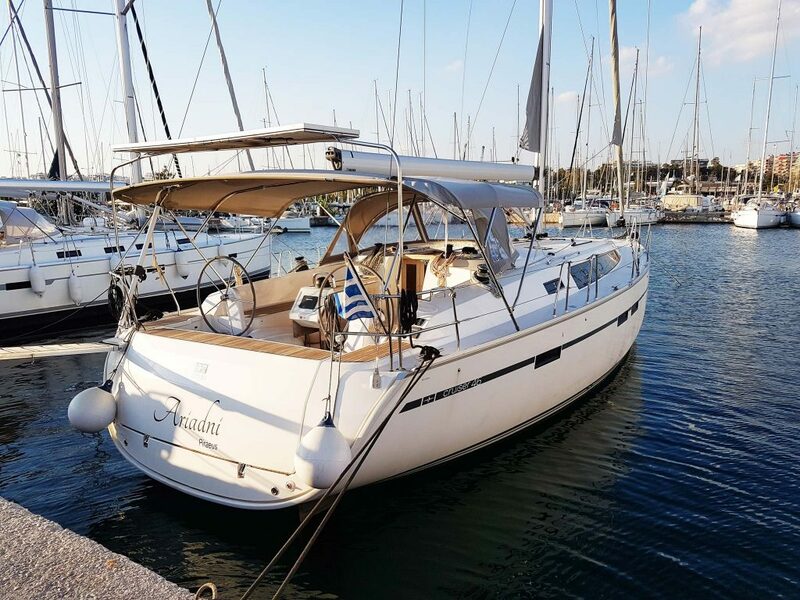 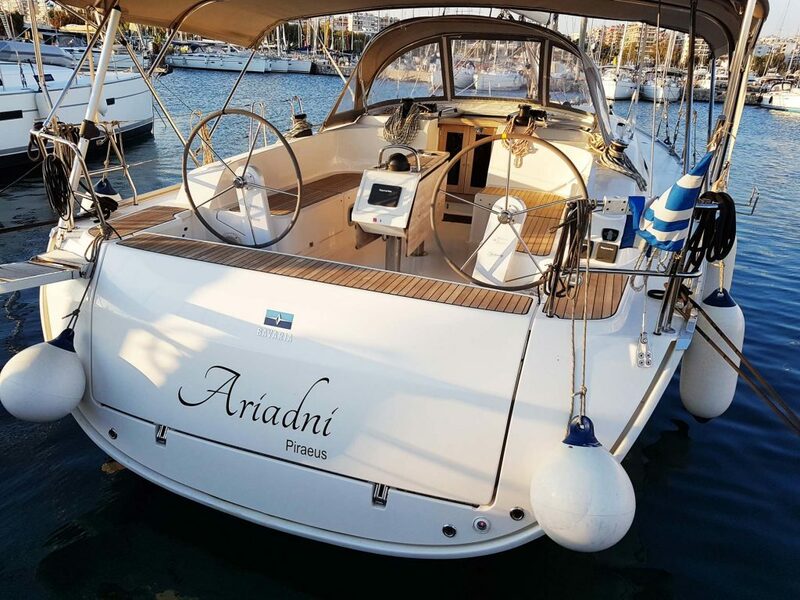 This landmark vessel proves that a cruising boat, with all the expected lounging and water games comforts, needs to sacrifice little in performance. 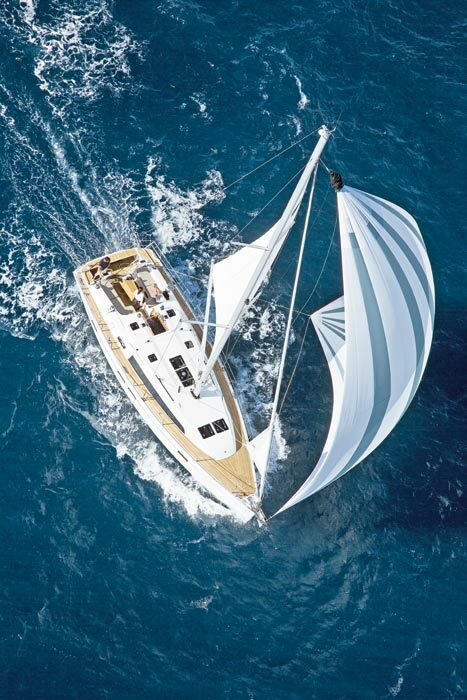 A beautiful yacht in which balance reigns supreme and which adapts to all requirements. 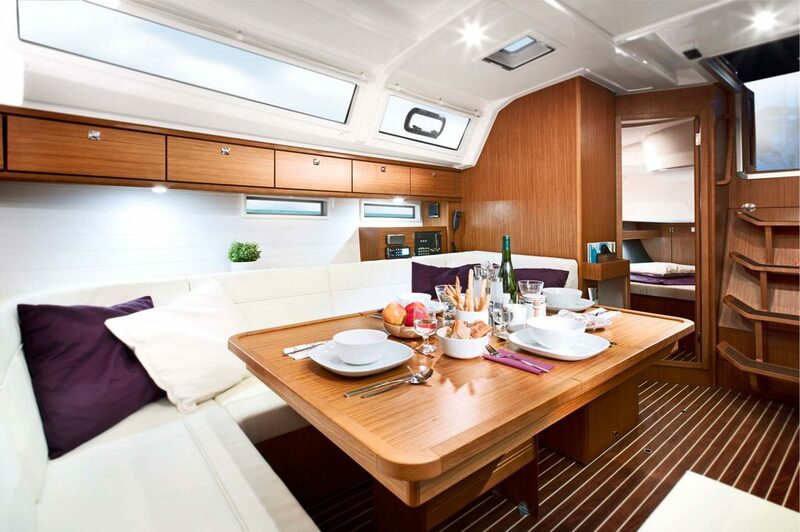 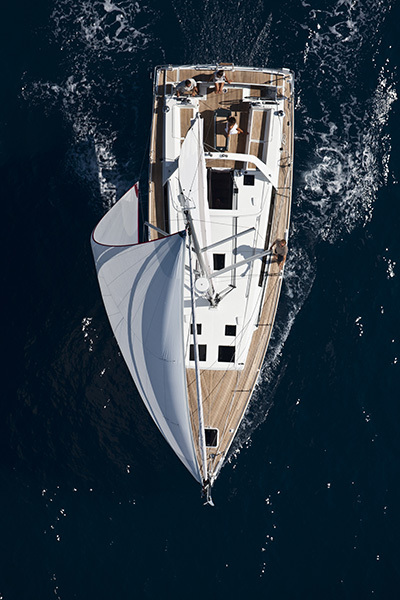 She boasts conviviality, with ample layout and remarkable sailing performance. 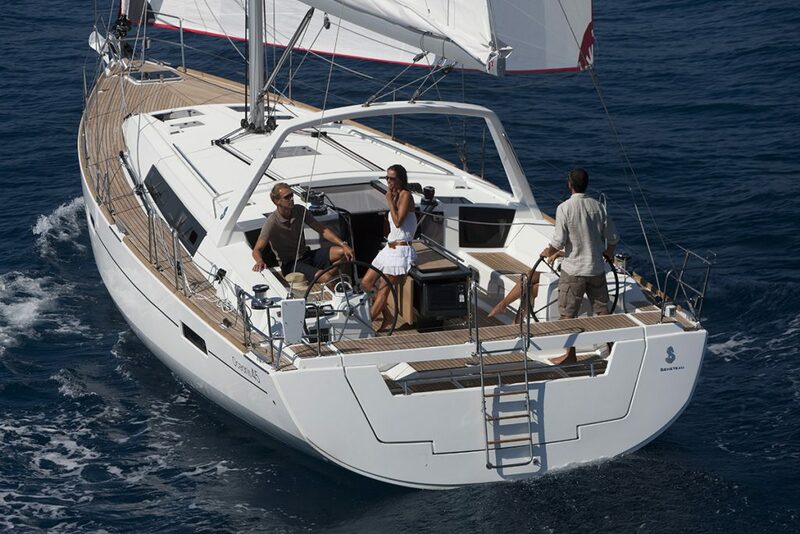 Allowing you to venture even further, life on board is all about harmony, precision and simplicity. 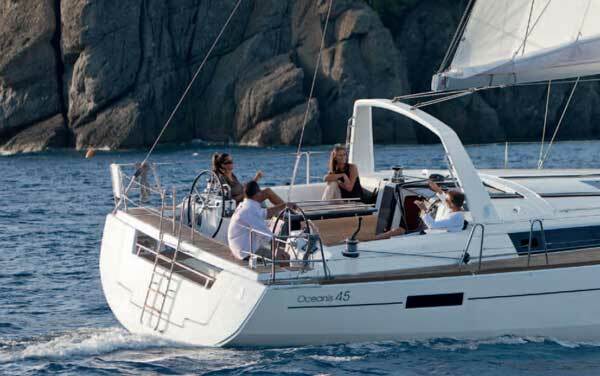 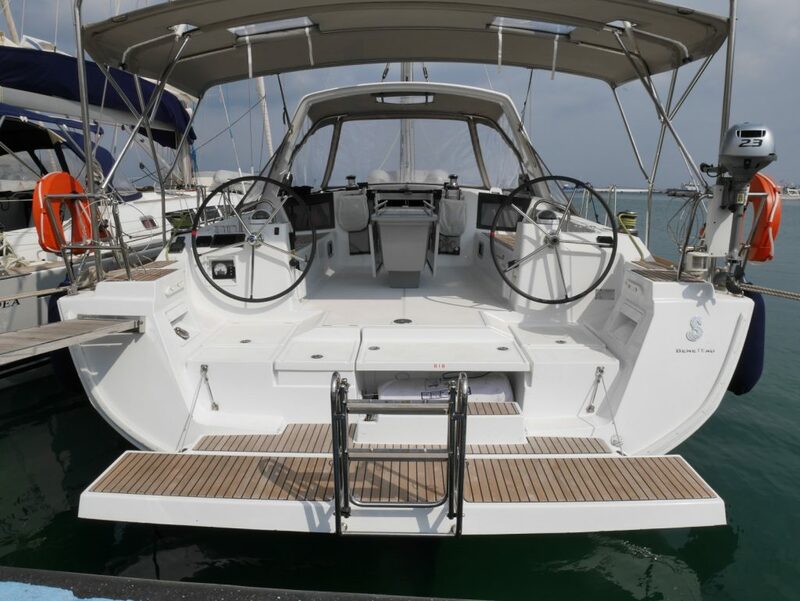 The Oceanis 45 encourages you to take her to the ocean in complete safety. Take her there confidently! 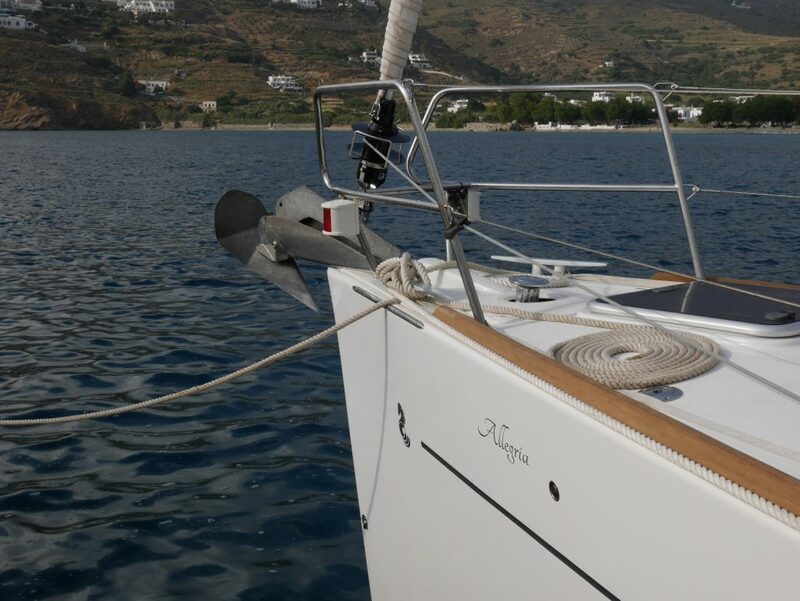 Our boats are chartered without crew in accordance with the Greek Government’s regulations for bareboat charters. 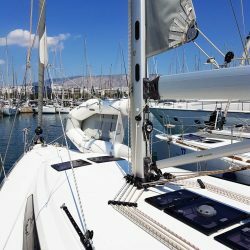 This is possible provided that at least two crew members are experienced sailors who hold a sailing certificate, or a letter from a recognised club or authority, certifying their competence in offshore sailing. 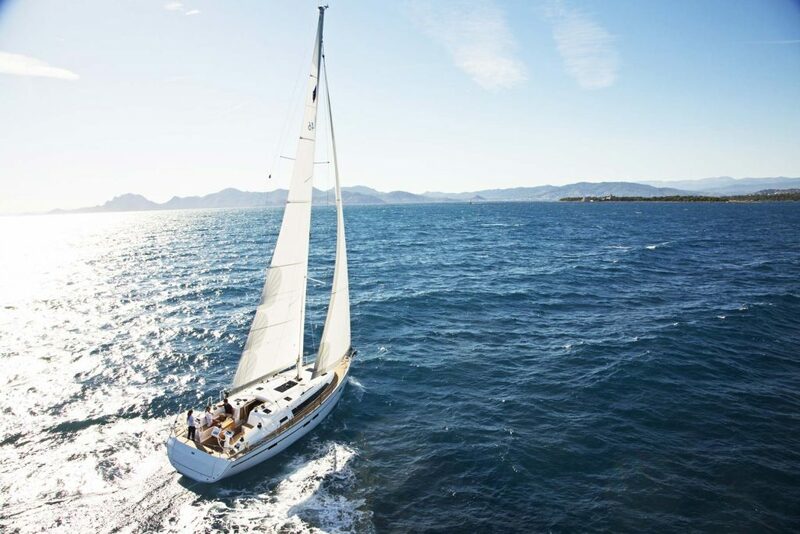 If neither is available, then a written declaration can be accepted. 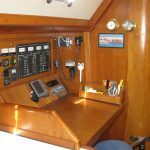 If no one is experienced enough to take responsibility of the boat, then a professional skipper can be hired at extra cost. 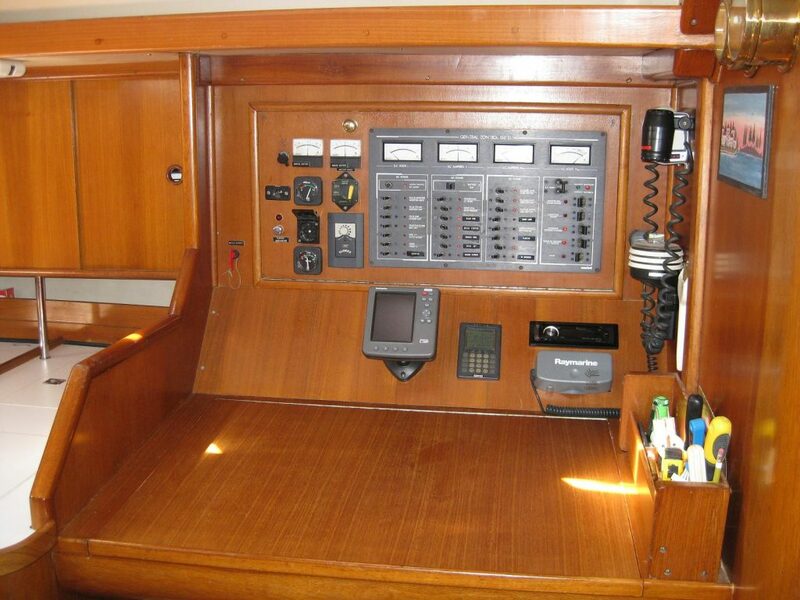 Upon receipt of your final confirmation we will send you the charter contracts in order to be signed by yourselves. 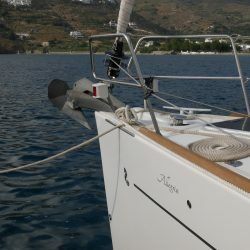 The contract is officially approved by the Ministry of Merchant Marine and the National Tourist Organisation of Greece. 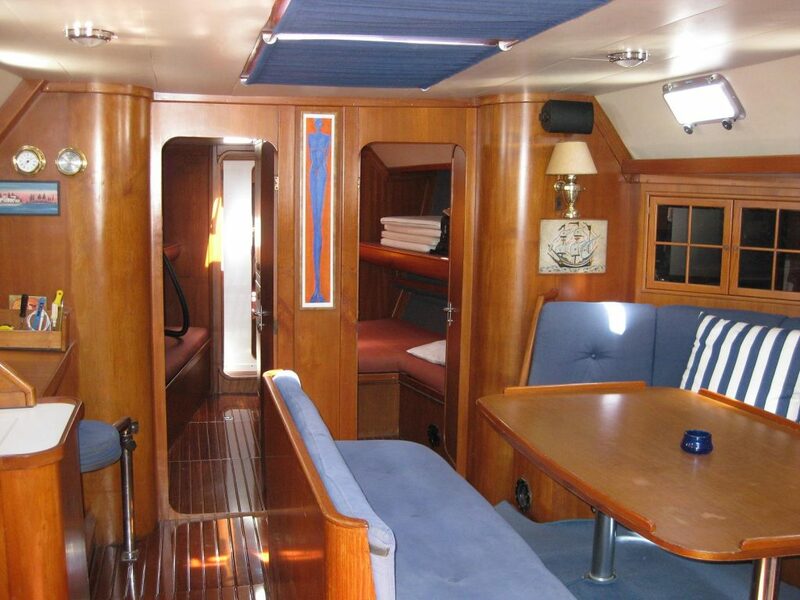 You shall return the signed contracts to us along with a 50% down payment. 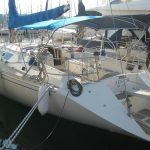 An option of two weeks is given for client’s signature and down payment. 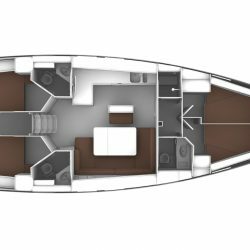 Your reservation becomes final as soon as we receive the down payment. 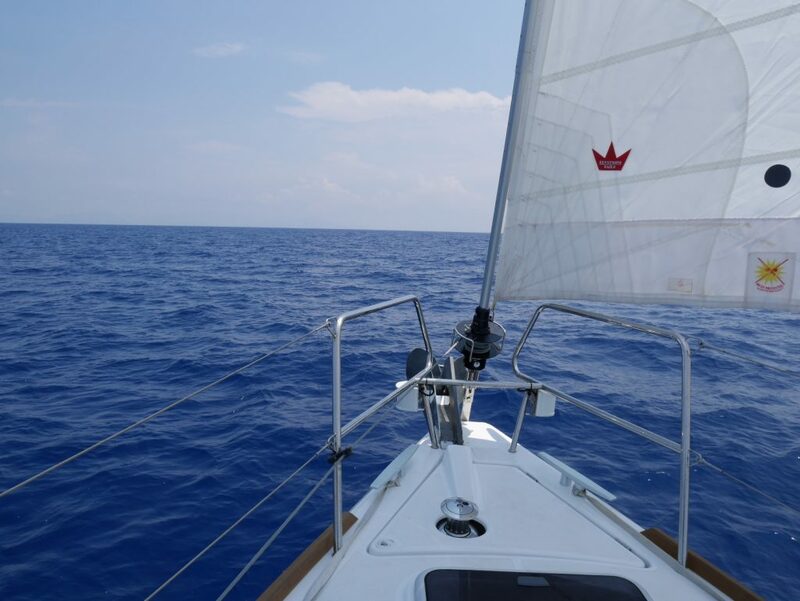 The balance of 50% shall be paid to us three weeks before embarkation. 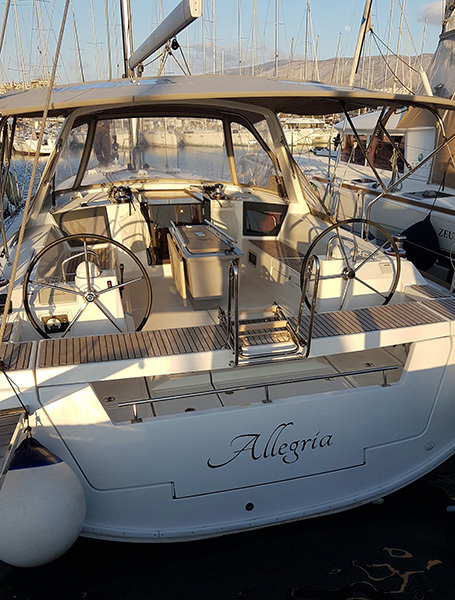 Our yachts are insured, above the caution level, against damages to hull, machinery, gear, equipment, etc., as well as for third party liabilities. 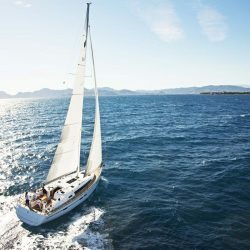 Personal accident, baggage insurance, and also deposit insurance in case of cancellation, should best be obtained through your local insurance broker. 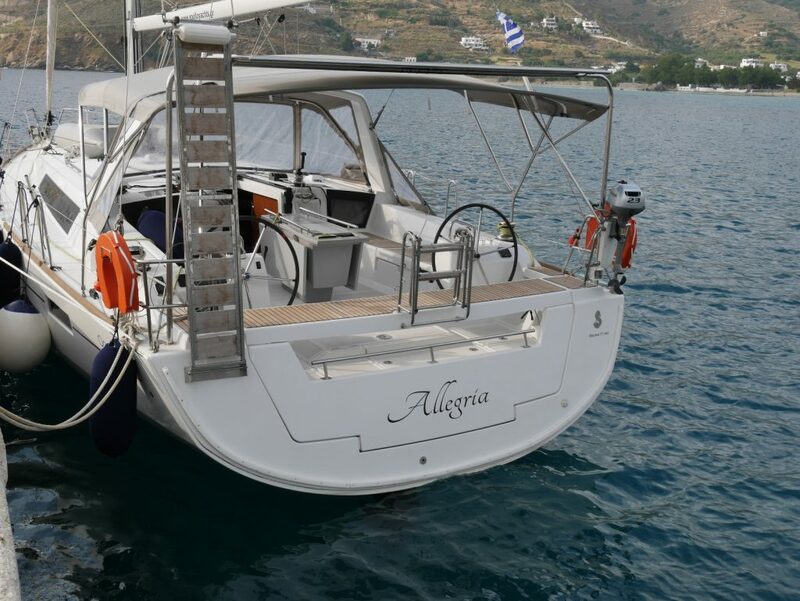 If you wish, we can arrange for your transfer from the airport to our yacht base in Marina Alimos at cost. 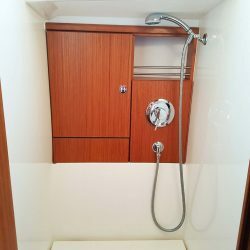 Alternatively, you may use a taxi or the express bus. 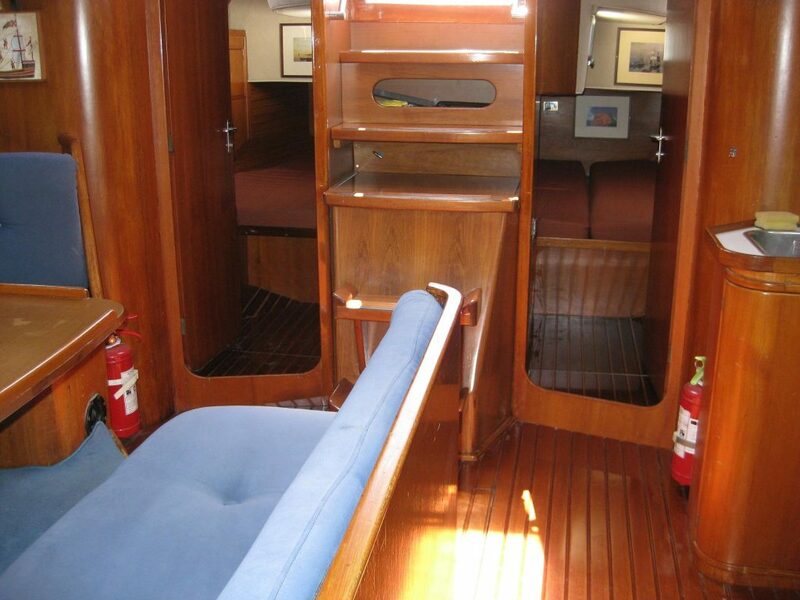 Instructions on how to proceed will have been sent to you beforehand. 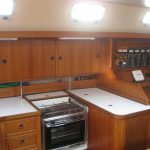 The yacht will be delivered to you spotless, professionally serviced and maintained, and with her tanks full of diesel and water. 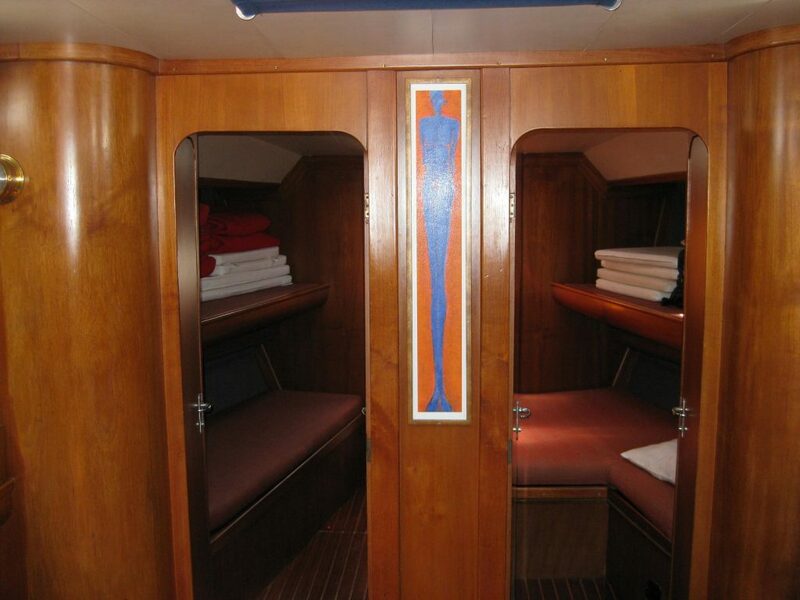 All charters commence at 17.00 hours on a Saturday and end at 09.00 hours, also on a Saturday. 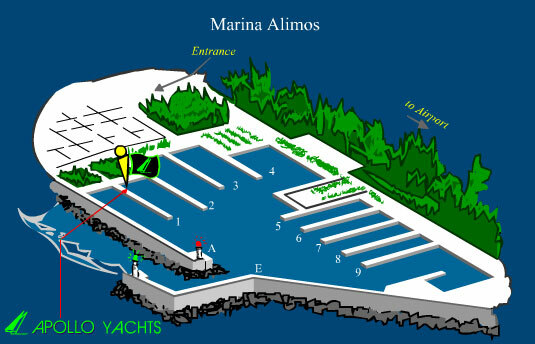 The yacht must return to the Marina on Friday afternoon, for inspection and caution clearance. 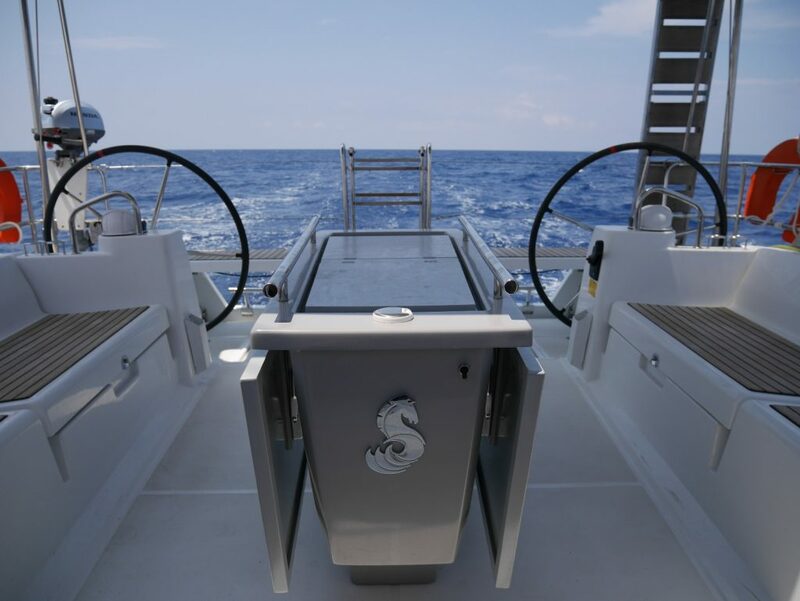 An underwater inspection will also be made by a diver. 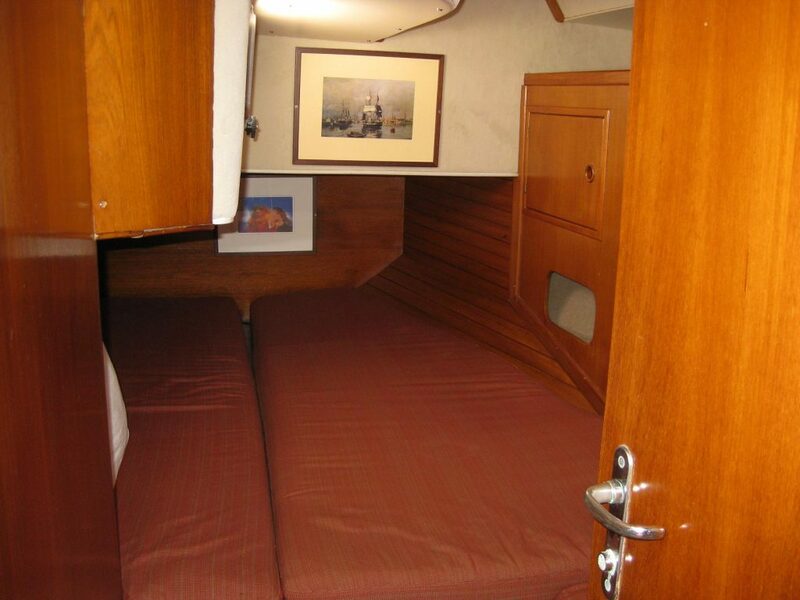 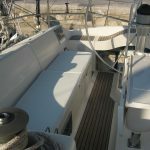 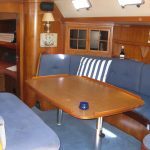 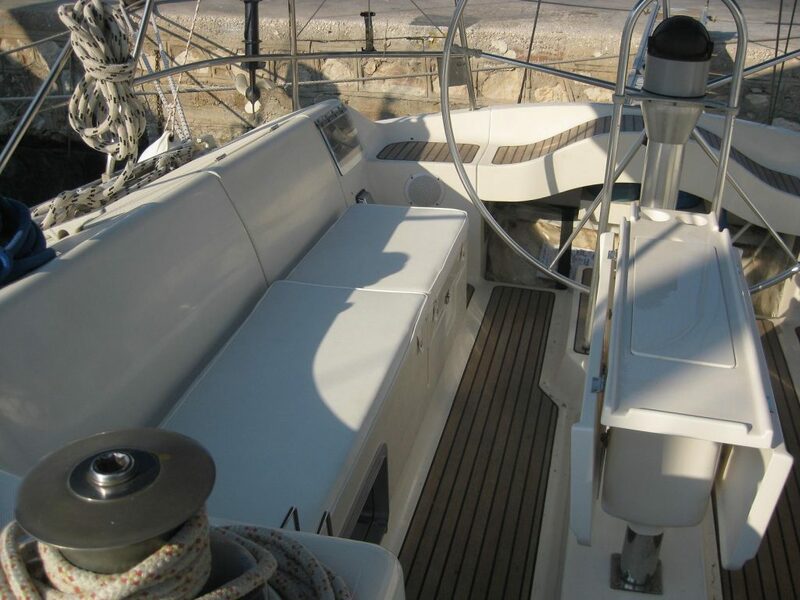 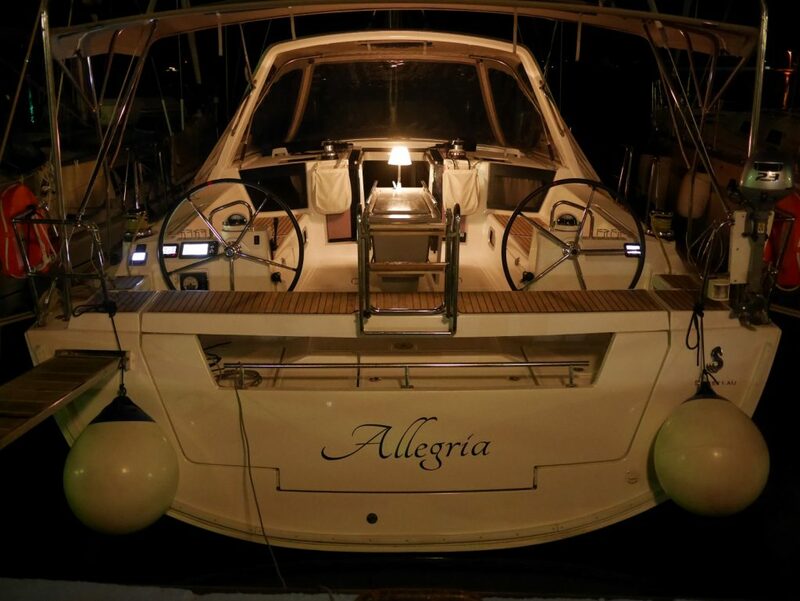 You will spend the night on board and hand-over the yacht to us, cleaned, by 09.00 hours on next morning. 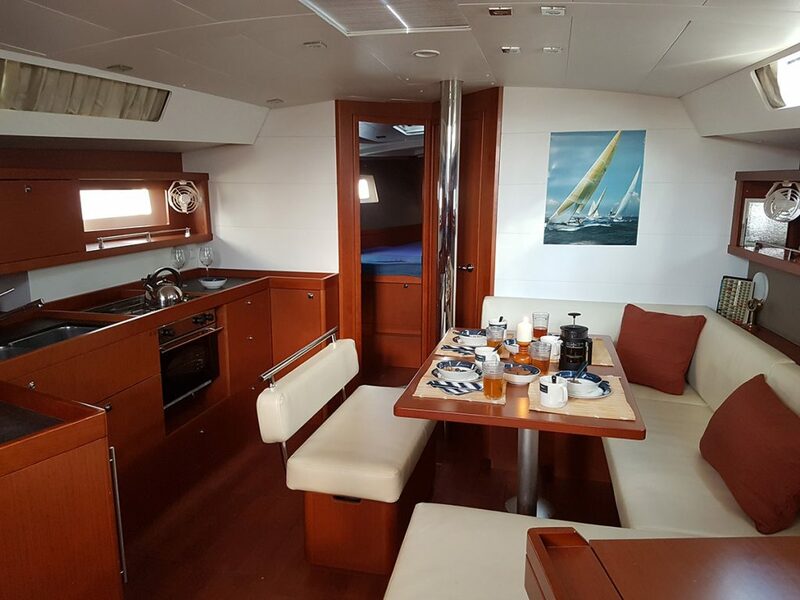 Upon embarkation you will be asked to leave with us an amount of money (caution), which is to meet the cost of any loss or damage which is not recoverable by the owner under the insurance policy. 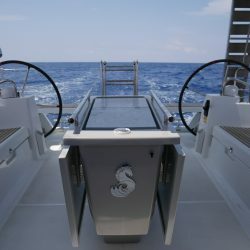 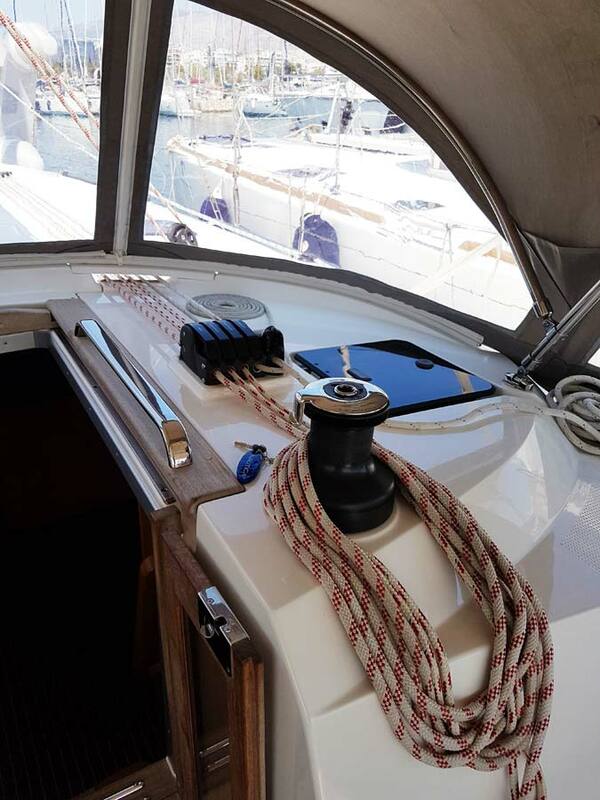 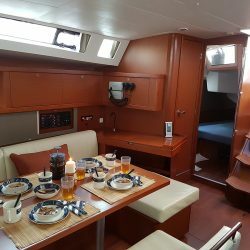 This amount can be paid by Credit Card, Bank Draft, or Cash and will be refunded to you upon the successful redelivery of the yacht at the completion of the charter. 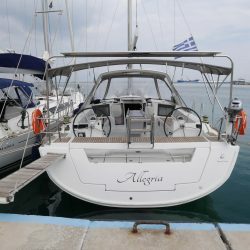 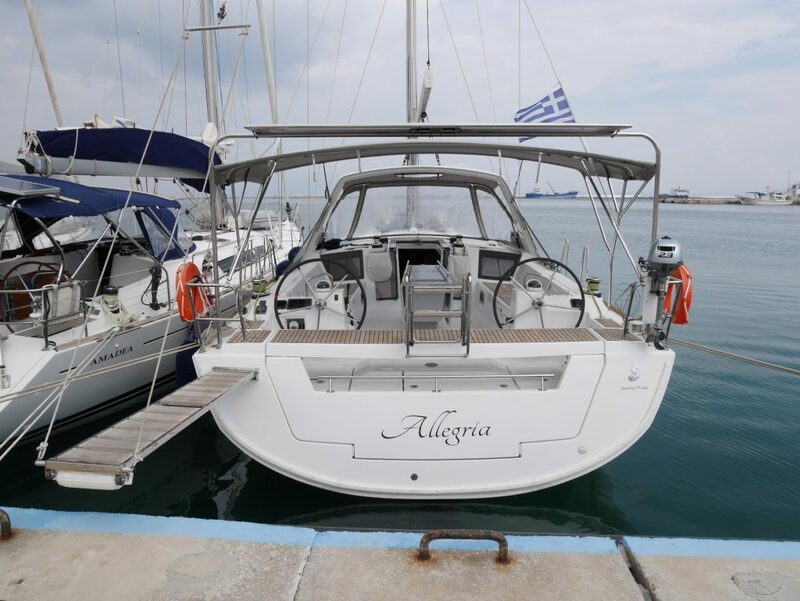 Our yachts, flying the Greek flag, undergo a thorough inspection, every two years, by the Greek maritime authorities and are granted a certificate of seaworthiness. 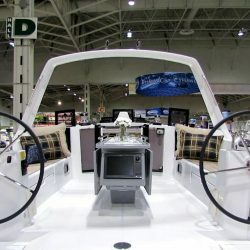 Safety items such as liferaft, lifejackets, harnesses, flares, fire extinguishers, etc., are getting inspected every year and a certificate is issued. 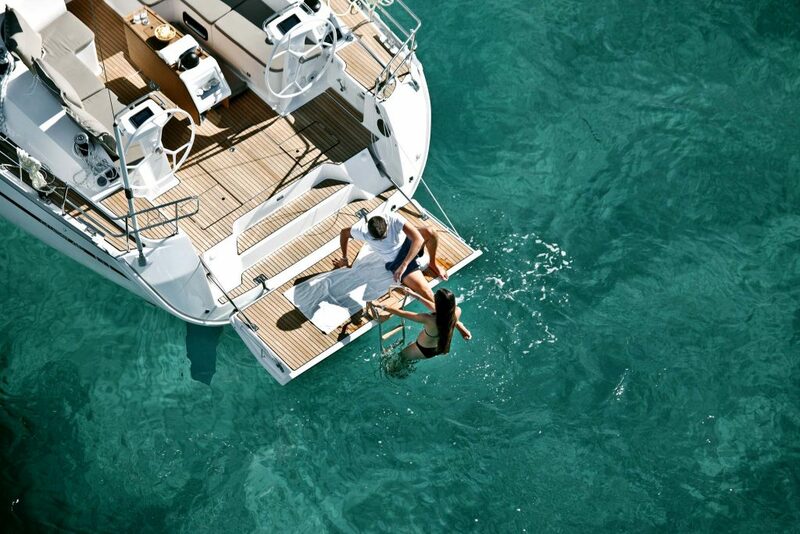 In addition, every yacht is hauled-out annually during the winter period for underwater inspection and maintenance. 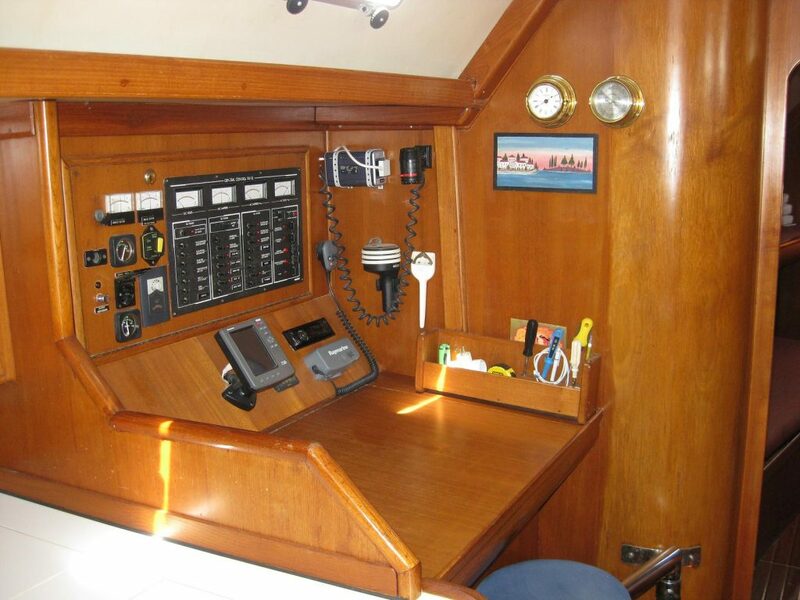 Equipment on board include full instrumentation (e.g. 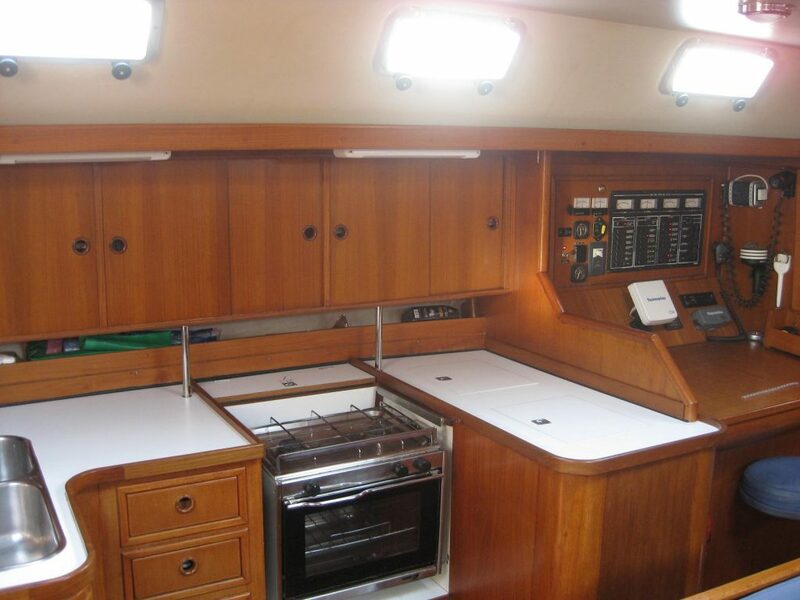 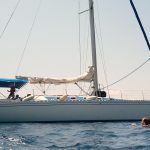 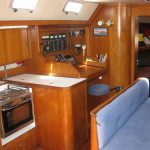 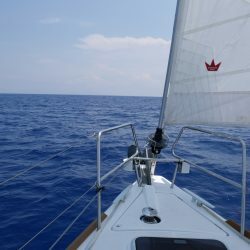 VHF, Radar, GPS-Plotter, Autopilot, and Depth/Log/Wind Instruments), a Bowthruster, a complete set of sea-charts, binoculars, sun-tent, snorkel gear, and of course a full range of cooking utensils, cutlery, and crockery. 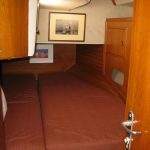 Freshly laundered bed linen, for every person, is supplied upon embarkation, free of charge. 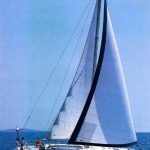 Therefore, one needs to bring with him only his personal items. 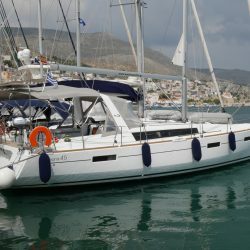 Apollo Yachts is a yacht owner company specialising in quality yacht charters in Greece. 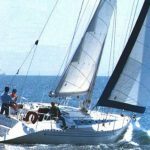 We have been established since 1980 and are very much a family concern aiming at providing our clients with the highest levels of service.